Basically, the kitchen and bath refinishing industry provides a durable, economical service to homeowners, hotel operators, and apartment complexes; the refinishing of bathtubs, tile, countertops, sinks and vanities, and major appliances. All of these things can become scratched, dull, or have outdated colors, yet still be structurally sound and working. 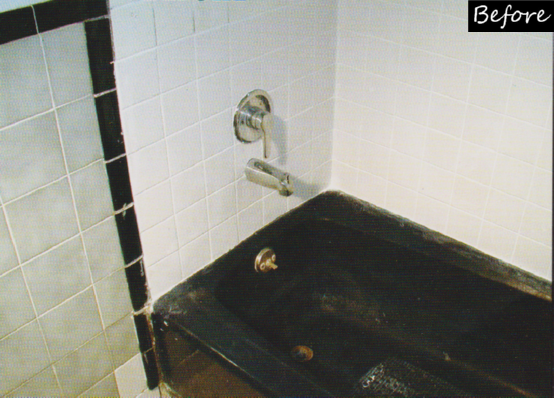 Refinishing a bathtub, also known as reglazing, takes only a few hours, and imparts a brand new surface on the original bathtub, without removal. The result is a bathtub which has a brand new, shiny clean, durable, high gloss surface in any color the customer chooses. Bathtub refinishing allows customers to design any style bathroom in any color scheme, without having to choose colors based on the original bathtub, sink, or toilet color. 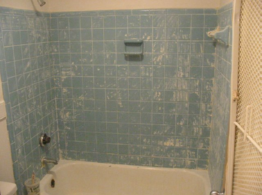 Ceramic tile can be repaired and resurfaced as well, allowing for complete bathroom color changes in a matter of hours, without disrupting the walls, plumbing or electrical work inside of a bathroom. 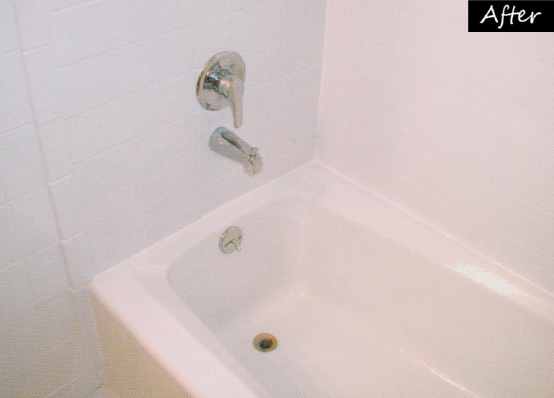 Bathtub refinishing can be performed on porcelain, fiberglass and acrylic. Staples Tub Services uses refinishing products that are known the world over, and have been installed on millions of bathtubs, sinks, and tile walls all over the planet. You may not notice our products at first glance, because the surface looks like brand new ceramic and porcelain surfaces, but what you’re actually looking at is the result of almost 20 years of experience and top quality coatings! Choosing bathtub refinishing over replacement also helps the environment by minimizing landfill from discarded bathtubs and sinks, as well as other construction debris. Be sure to choose a bathtub refinisher who uses the most trusted refinishing supplies in the business….Staples Tub services!